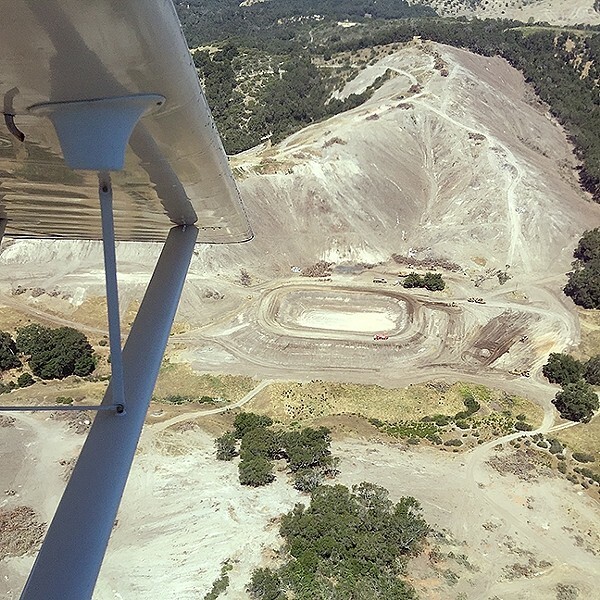 When neighbors to Justin Vineyards and Winery caught the conglomerate clear-cutting hundreds of acres of oak woodlands west of Paso Robles in June, they also revealed that San Luis Obispo County had little on the books to make the act illegal. A new draft ordinance released by the county last month could change that. The public outcry led the Board of Supervisors to pass an urgency ordinance in July that prohibited the clear-cutting of oak woodlands and the removal of native trees with some exceptions. Native trees included five species of oaks, California bay laurels, California sycamores, grey pines, and Pacific madrones. That urgency ordinance expires in April 2017, and in the meantime, SLO County staff is meeting with community groups as they develop a permanent ordinance to supplant it. DEVASTATED: Aerial photos of Justin Vineyards and Winery’s clear-cutting of oak woodlands in June drew public outrage. The county recently released a draft of a permanent ordinance focusing on oak tree clear-cutting. With SLO County 5th District Supervisor Debbie Arnold present, Johnson explained the nuts and bolts of the draft ordinance to the TAAG members. The ordinance applies to non-residential development only and strictly prohibits the removal of more than 1 acre of healthy oak woodland on slopes 30 percent or greater. On slopes less than 30 percent, the ordinance requires a Minor Use Permit for clear-cutting, which would involve deeper environmental analysis. Violations of the ordinance could result in a $25,000 fine, the maximum penalty for an ordinance. The TAAG members expressed some disappointment that the county opted to exclude other native tree species from the ordinance, but they were generally supportive of something on the books that could deter a repeat of what happened with Justin Vineyards last June. In February, the ordinance will go in front of the Planning Commission, and the Board of Supervisors will likely vote on it in March.